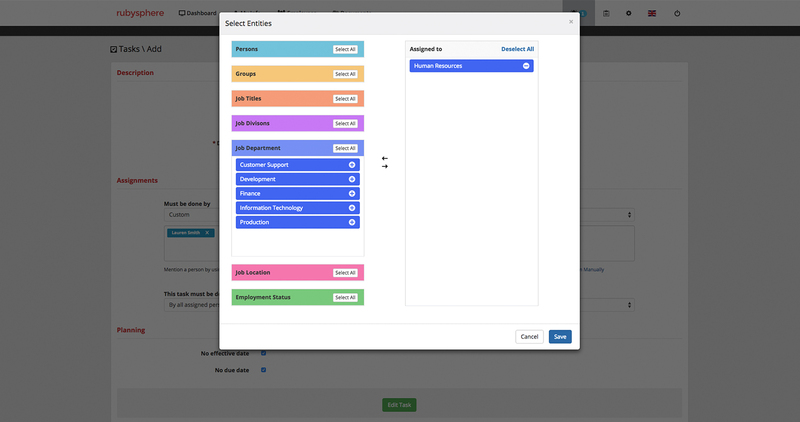 Easily create and assign tasks to your employees. Set reminders that your employees can access in their personal space. 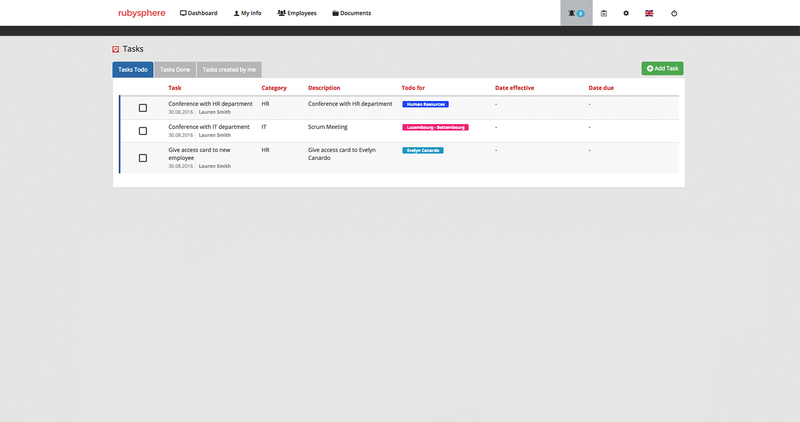 With the built-in Task Manager, you can easily create and assign tasks to your employees. Several options help you to aim perfectly by and for whom these must be realized. Delegate tasks to individuals, managers or even to whole teams based on per example their job titles or departments. Set and manage reminders and notifications that your employees can access in their personal space. 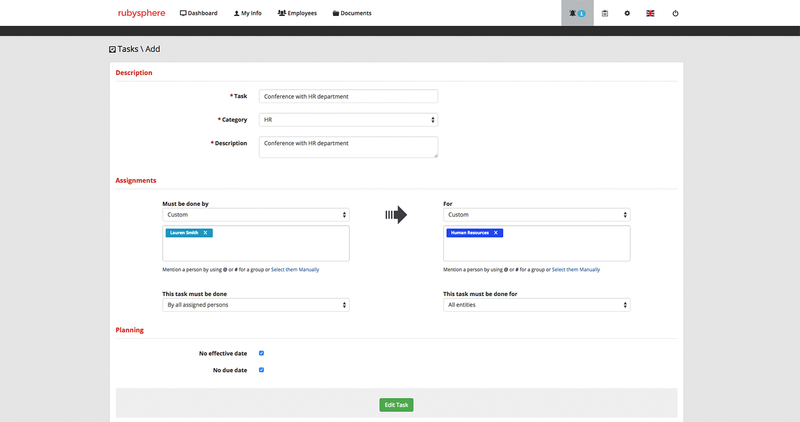 Create onboarding tasks that will be automatically be triggered when new employees are hired. Determine who will do what and when to help new employees to be successful in your company.